If you’re reading this, chances are good that you’re pretty well versed on my love for entertaining. Bringing people together over a great meal is a true passion for me, and luckily my husband agrees. The result of two people who love to cook and spend time with friends? We entertain a lot. And by “a lot,” I mean as often as a few times a month. I get asked all the time about how we do that, and the answer is that we keep it simple! 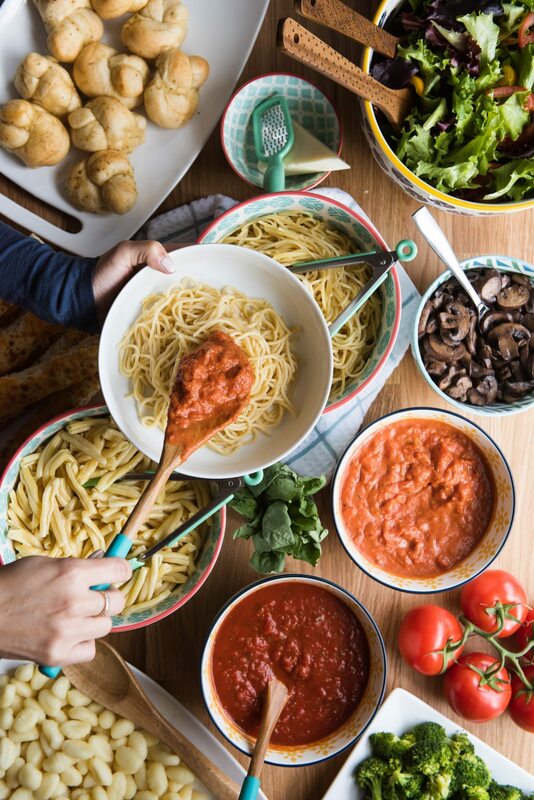 Sure, there are times that we cook an intricate meal, but most of the time I’m a huge advocate of pulling together a spread that is wow-worthy without taking all day to prepare. 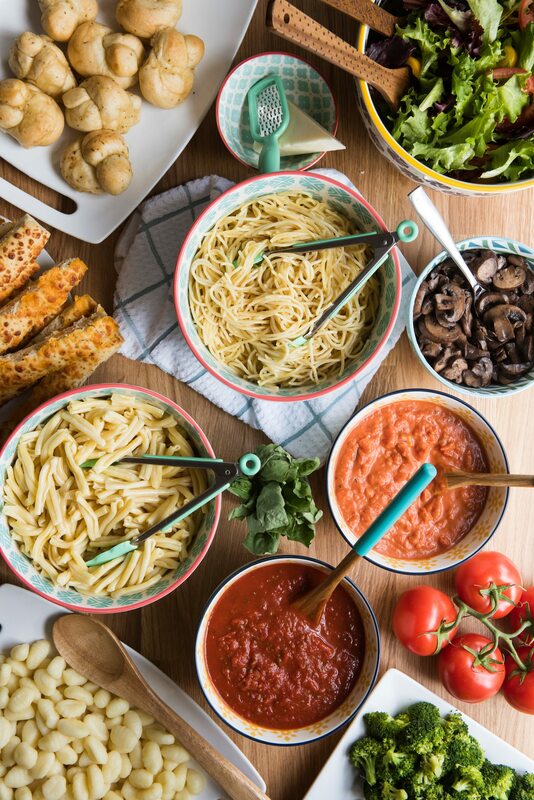 One of my favorite entertaining ideas is any kind of “make your own” food station, in this case an awesome pasta bar that I created shopping exclusively at Walmart! 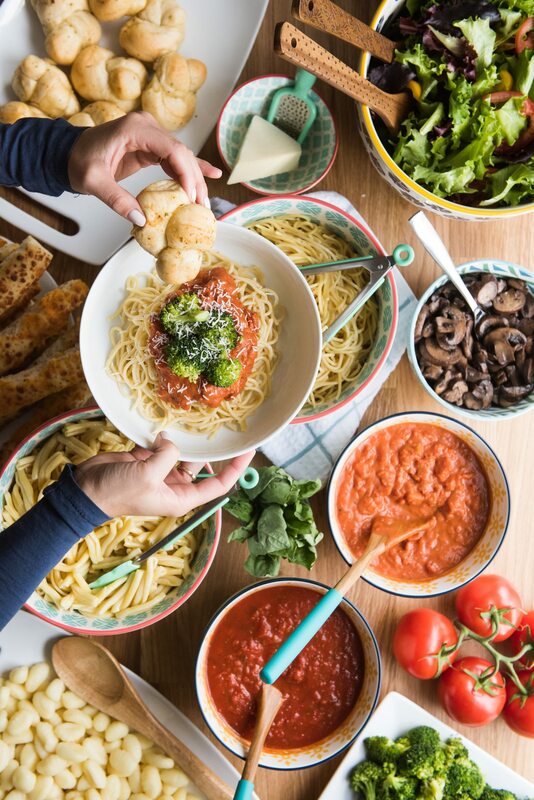 The beauty of this pasta bar is how quickly it comes together, how amazingly convenient it is to pick everything up in one shopping trip and how tasty the end results are! 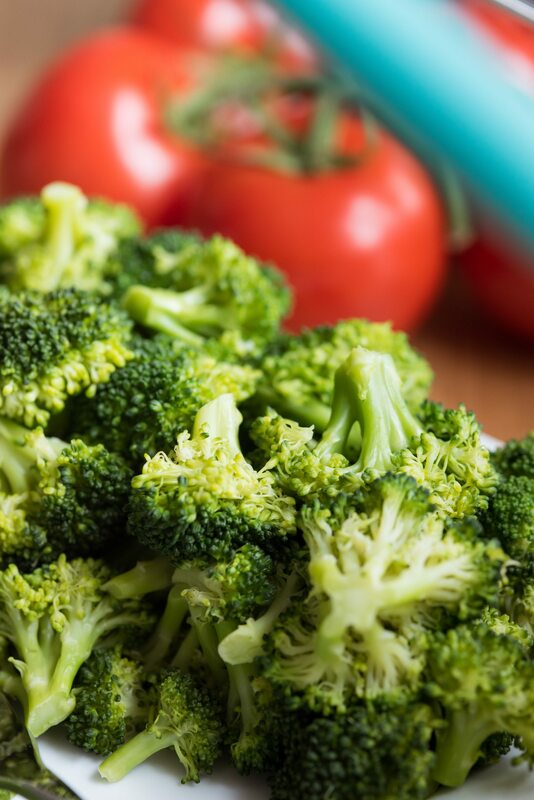 Your friends and your kids will go crazy for this one, and the prep time is totally minimal. This is my kind of dinner party! The basis of any great food station is variety! 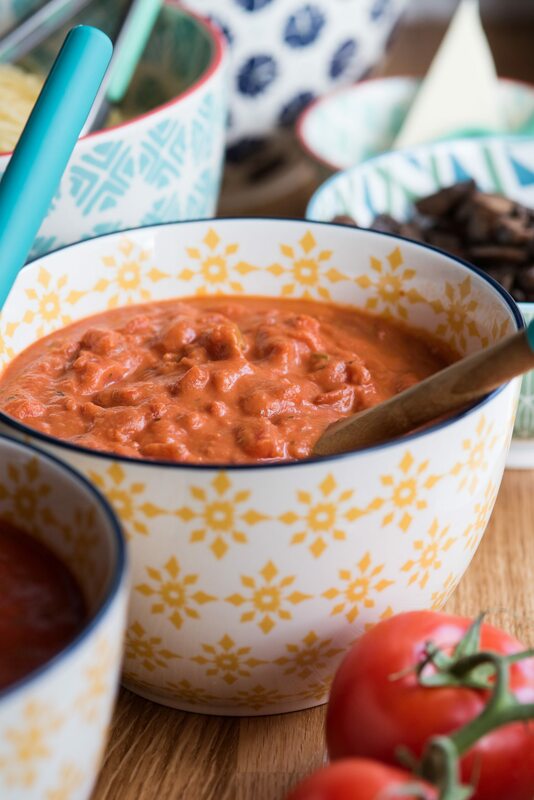 Guests get totally fired up when they feel like they can mix and match different flavor combinations and toppings to create their own perfect signature dish. 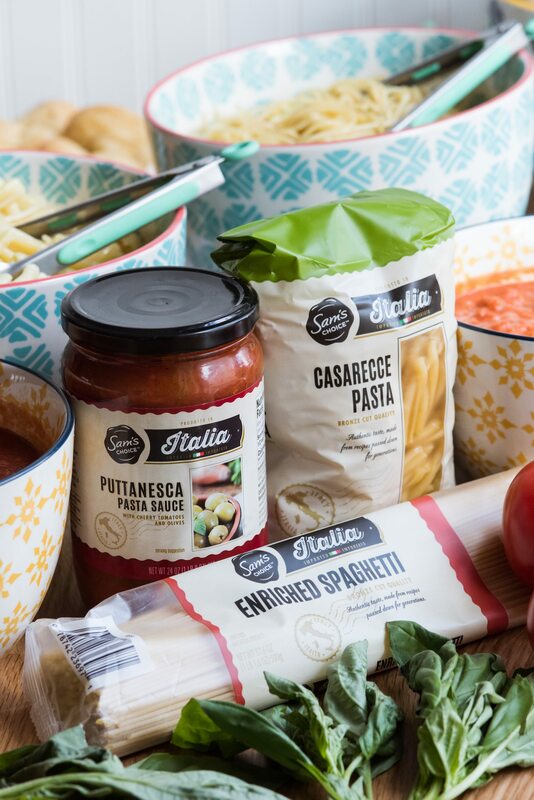 Using an assortment of Sam’s Choice Italia products which are hand crafted in Italy just for Walmart, this pasta bar comes together so easily and with loads of flavor. 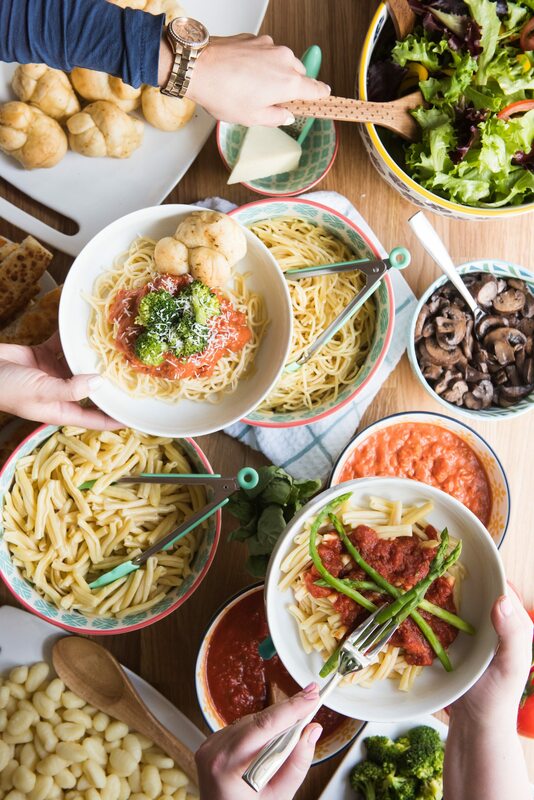 The star of the show is a trio of pasta options, including the Sam’s Choice Italia Spaghetti, Potato Gnocchi and Casarecce, which provides a variety of choices for pasta lovers of all types. 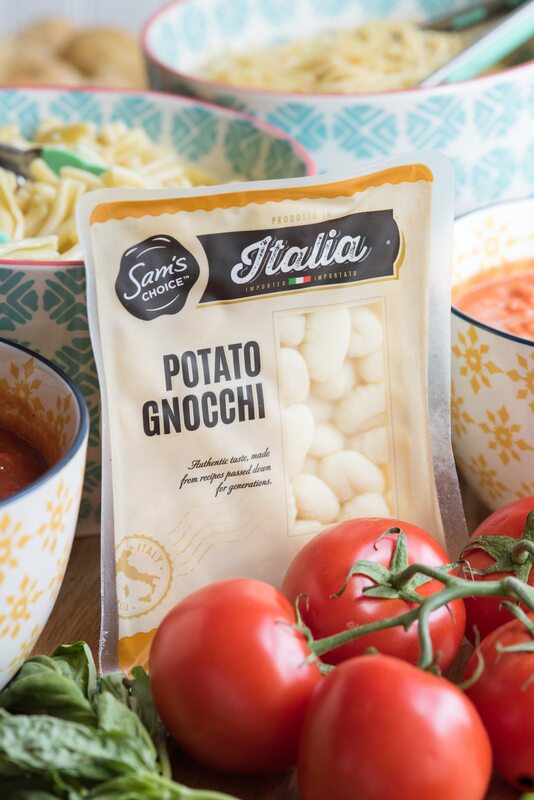 Two or three of the amazing Sam’s Choice Italia pasta sauces are next on your shopping list! 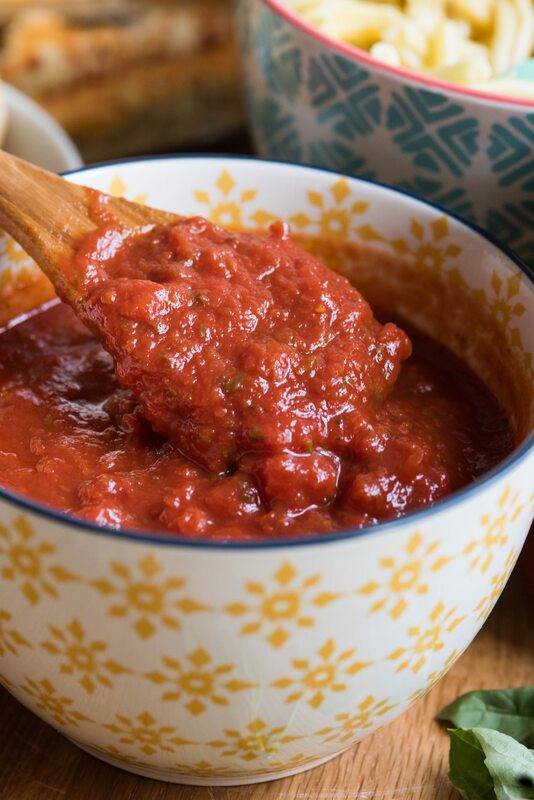 I went with the Sam’s Choice Italia Roasted Garlic Pasta Sauce and the Sam’s Choice Italia Tomato & Mascarpone Pasta Sauce, but their Tomato & Basil and Puttanesca sauces are also incredibly tasty, all featuring big chunks of tomato that give the sauce a homemade taste right out of the jar. 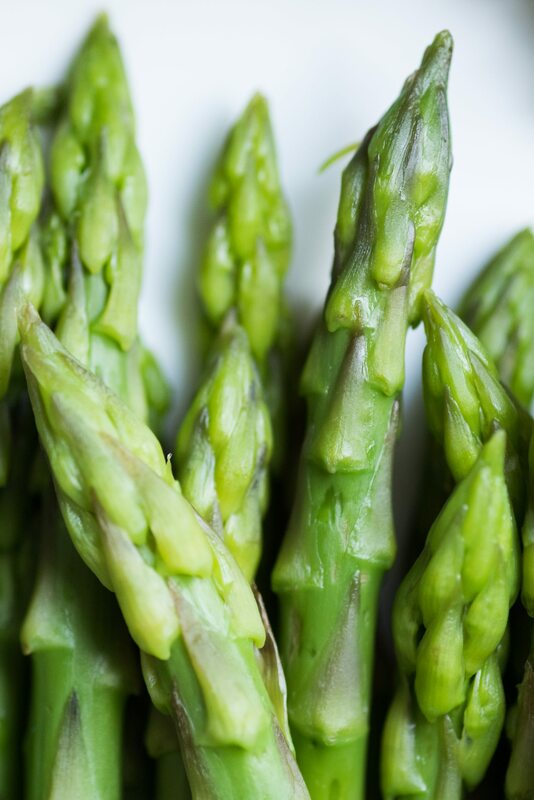 I then hit up the produce department for fresh asparagus, fresh broccoli, portobello mushrooms and the fixings for a giant green salad. I steamed the veggies for topping the pasta, grabbed a chunk of fresh romano cheese for grating and picked up fresh basil to really layer on the flavor. 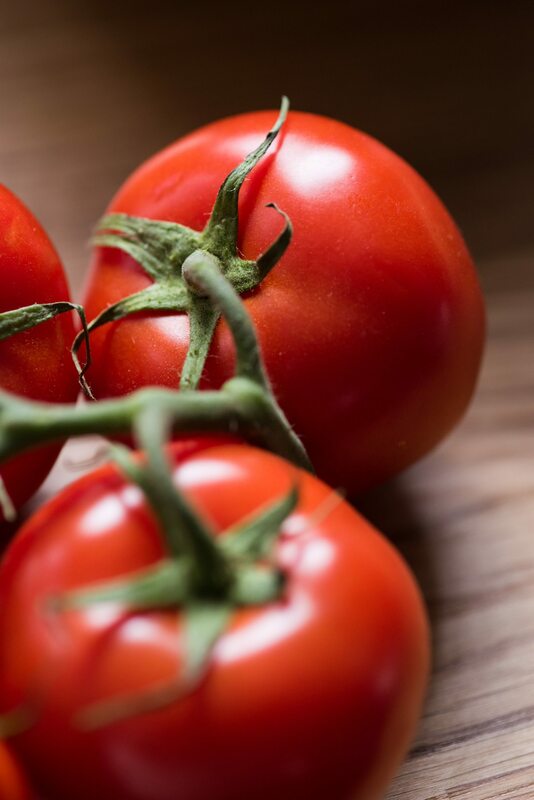 I love that Walmart has so many quality fresh food options, including loads of organic produce that make me feel really good about what we’re feeding our kids and offering our friends. 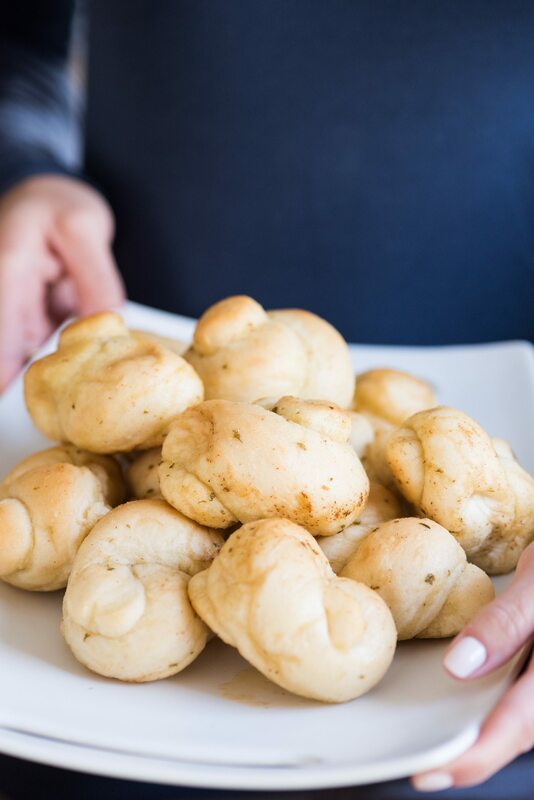 Of course, you can’t have pasta without the garlic knots! 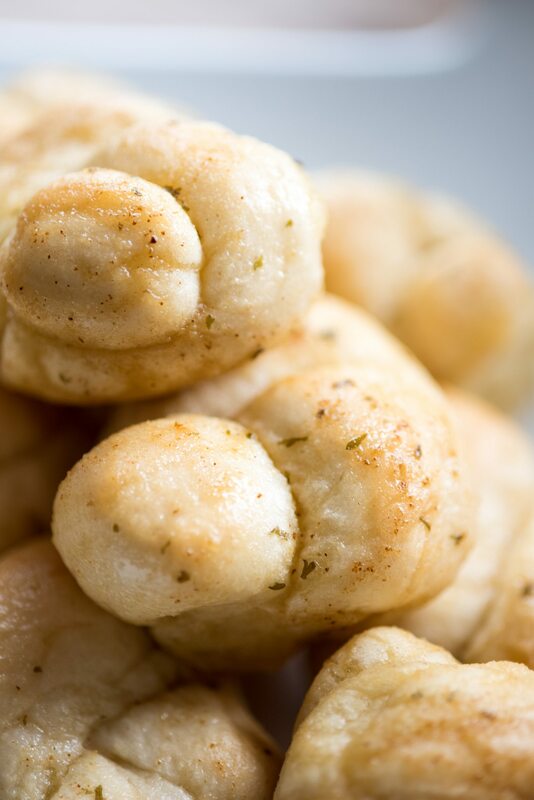 I capped off our pasta bar with piping hot garlic knots, pulled fresh and steaming from the oven in just a few minutes. 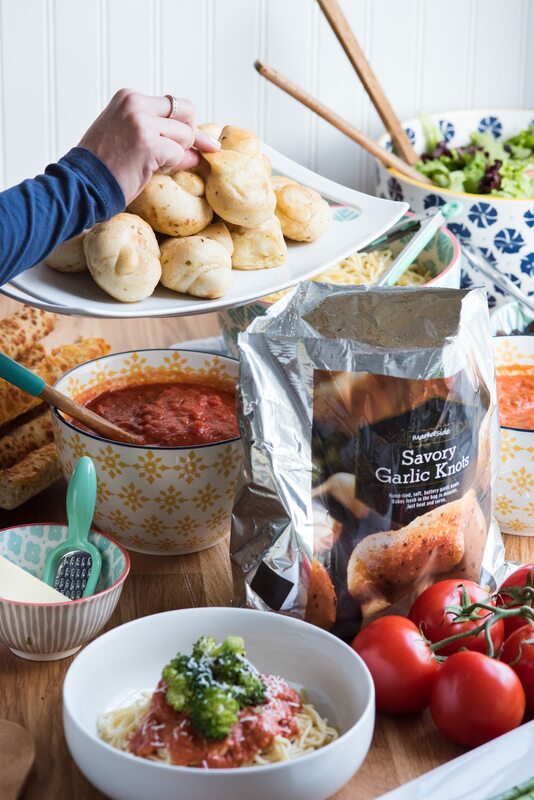 Walmart’s Marketside Savory Garlic Knots (or the 3-Cheese variety) can be found in the bakery department, where it’s a cinch to then just toss them in the oven in the original foil bag for nine minutes, making for a great addition to your weekend dinner party or your weeknight dinner. They are soft and melt-in-your-mouth delicious, and we had a really hard time resisting eating them all when we were shooting these photos! 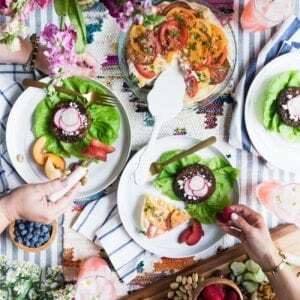 I love entertaining so so much, but finding ways to keep it manageable and affordable are key for me. 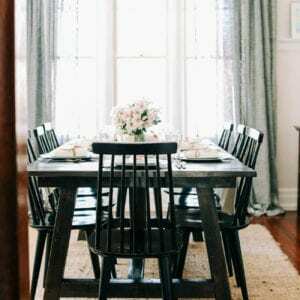 It’s also my life’s mission to make entertaining feel more approachable for busy working families like ours, since it’s something that brings such joy to our lives. That’s what I find so great about shopping at Walmart when I’m prepping for a party! 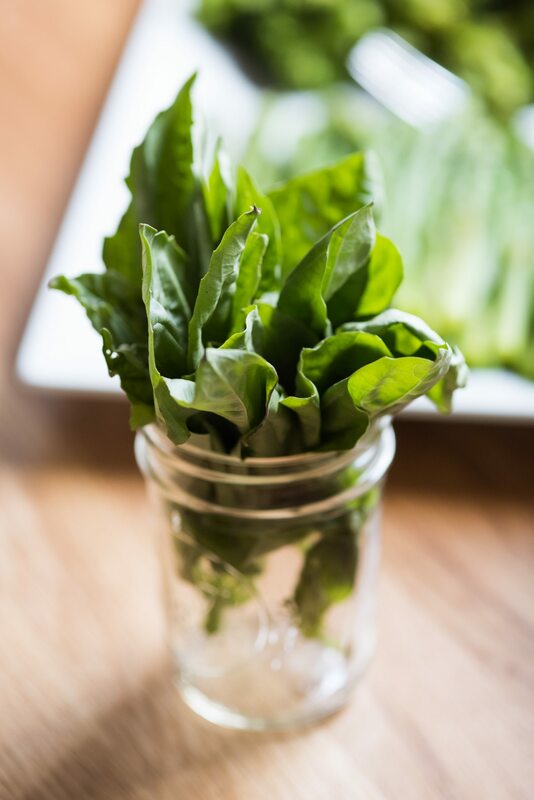 I can tackle all or most of my list in just one stop, finding everything from fresh ingredients to beautiful bowls and serving pieces like all the ones you see in this post. 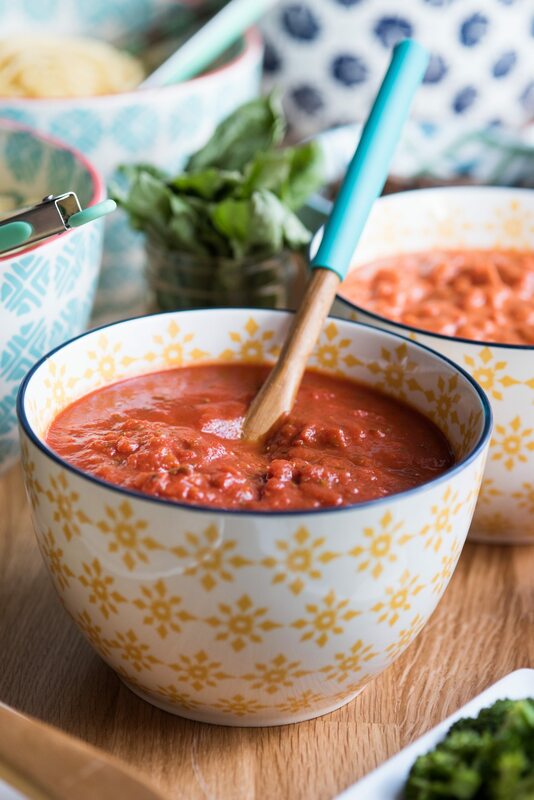 Then when you’re ready to host your next dinner party, you can do it pasta bar style, simply cooking up the pastas and warming sauces before tucking them into pretty bowls with big wooden spoons for serving. 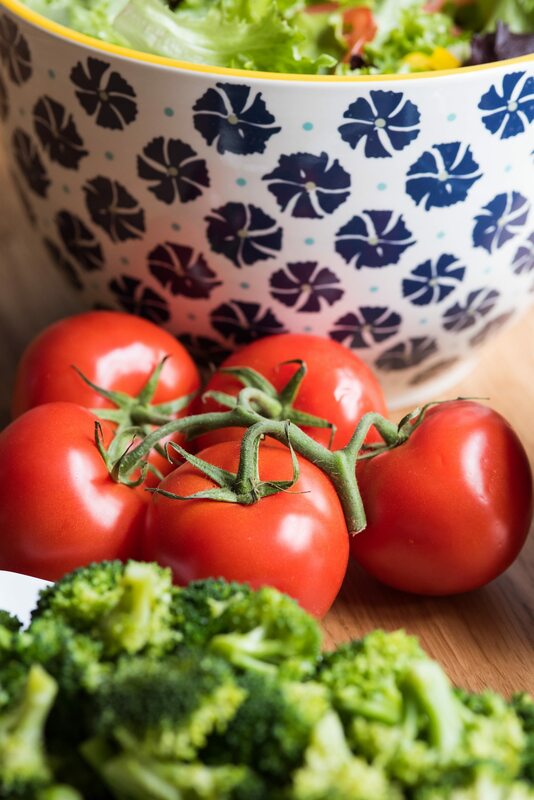 Line everything up along the dining room table or even down the counter in the kitchen alongside a stack of bowls and flatware and you’re ready for dinner! It doesn’t get much better than that, friends.